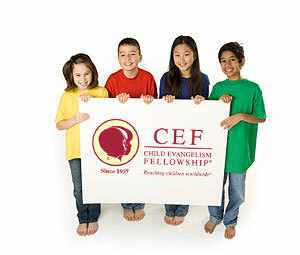 CEF has available several programs designed to equip Christians with proven techniques for sharing the gospel and first steps of discipleship with children. Level 1 - An innovative 30-hour course designed to equip local church members with a fresh approach to evangelizing and teaching today's child. Level 2 - This 30-hour course is designed to help you disciple the Christian child. There are two facets to the Good News Club Program Training. Helper - who develops relationships with a small group of children, to Bible Teacher, who does the main presentation in the club, attend this training. Creative Presentation Resources (CPR) is an opportunity for the workers to gather together four times a year to review the next curriculum series, receive creative ideas to present a "High Octane" club, encourage one another, and pray together. Please contact Maribeth Pipkorn, Director of Training, for more information about GNC training at the CEF Center 262-373-1780. Christian Youth in Action (CYIA) is a short-term, summer ministry dedicated to the training and development of committed Christians (ages 14 and up) who want to be equipped to reach children for Christ. Contact the CEF Center to find out more about CYIA registration. CEF offers customized, on-site training to local churches for Sunday School teachers, AWANA leaders, and parents. CEF has numerous workshops available specially designed to help you meet the needs of today's child. Learn more about Church Seminars & Workshop Options. The Children's Ministry Institute exists for the express purpose of promoting the evangelization and discipleship of children around the world. This purpose is carried out primarily through training and equipping workers and leaders for Child Evangelism Fellowship® ministries. In addition, those working in the local church and other mission organizations can benefit from the training which will enable them to minister to children in their sphere of influence. -These individual seminars cover various topics related to direct ministry to children. Seminars include printable notes and an audio presentation synched with slides. They can be used effectively both by individuals and groups. Wordless Book Training is a 42 minute seminar designed to equip you to effectively present the message of salvation to children. You will become familiar with the truths of the message of salvation and how to present them using the Wordless Book. The content for this session is offered as a video presentation (48 min). This presentation is designed to help you understand the steps to follow when preparing to teach a Bible verse to children.